Roland S. Martin says it's wrong to judge a president based on what he can accomplish in the first 100 days. (CNN) -- The new president has been in office one week and already the clock is ticking as to whether or not he can get a lot accomplished in the first 100 days of his presidency. Did I miss the memo? I thought the presidency is a four-year term. If you turn on television or radio, commentators, correspondents and talk show hosts are speaking in breathless tones about the need for President Barack Obama to get off to a fast start and show all kinds of accomplishments in the first 100 days. And we are given the sense that if he hasn't signed a lot of major bills into law and issued a slew of important executive orders, then he will have failed. Lest you think this is about Obama, it isn't. I thought it was just as stupid to put Presidents George W. Bush, Bill Clinton and George H.W. Bush on some kind of silly shot clock. This Washington, D.C., parlor game happens every four or eight years. It has gotten so silly that some folks actually analyzed Obama's first 100 hours. It took that long to figure out the quickest path from the presidential sleeping quarters to the Oval Office! The problem with so much emphasis being placed on the first 100 days is that a premium is placed on speed as opposed to thoughtfulness. Take the president's stimulus package. We are looking at spending $900 billion, and Congress is proceeding so fast that I doubt most of the members have actually read the entire bill. We know from history that moving with lightning speed leads to all kinds of problems later on. The Patriot Act was rushed through, and we didn't find out about some of the weird provisions until after it was already signed into law. Oops! Sorry, too late. The same with the bailout of the banking industry. We didn't discover until after it was too late that there weren't enough provisions focused on accountability of the funds, as well as mandates to ensure banks didn't sit on the cash to buy other banks but instead used it to open up the credit lines. These measures are too doggone important for us to act like we're watching the movie "The Fast and the Furious." The fundamental problem with this approach is that every president operates as if he is President Franklin Delano Roosevelt, who set the initial standard for decisive action in the first 100 days of his presidency. Ever since then, my media comrades have tried to hold each president to this same timetable, not realizing that times are different, and the needs of the nation are different. I believe in taking action when necessary. But I also realize that doing something for the sake of doing something is dangerous, and sets a horrible precedent. And we are seeing this now with the stimulus package. The House is scheduled to vote on the measure today with very little discussion about the nuances of the bill. Questions of oversight, how to manage the spending of billions of dollars, and whether the right programs will be funded initially all have gone by the wayside in order to, as some have suggested, give the president a quick victory out of the gate. As a basketball player, President Obama knows that you can have a hot first quarter, hitting every shot and grabbing every rebound, and that could very well propel you to a decisive victory. But a basketball game is four quarters, and if you only play the first half well, you can blow the game in the second half. We need thoughtful, measured political leaders who have studied all the angles and are making the right calls. Let's focus on our long-term future, and not be bogged down in meeting a ridiculous report card for the satisfaction of the media. 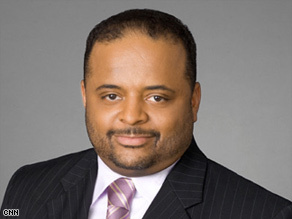 The opinions expressed in this column are solely those of Roland S. Martin.